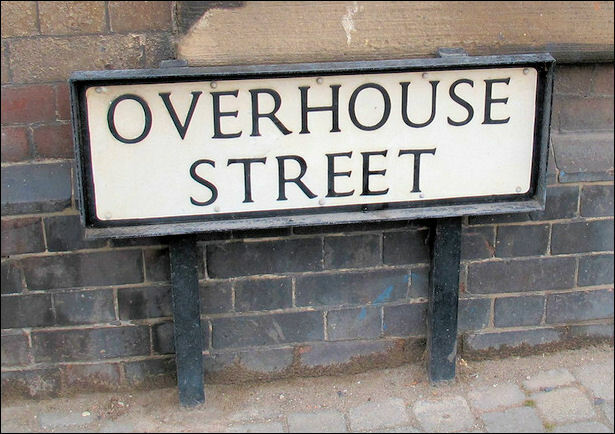 The Overhouse Works — Wedgwood Place. 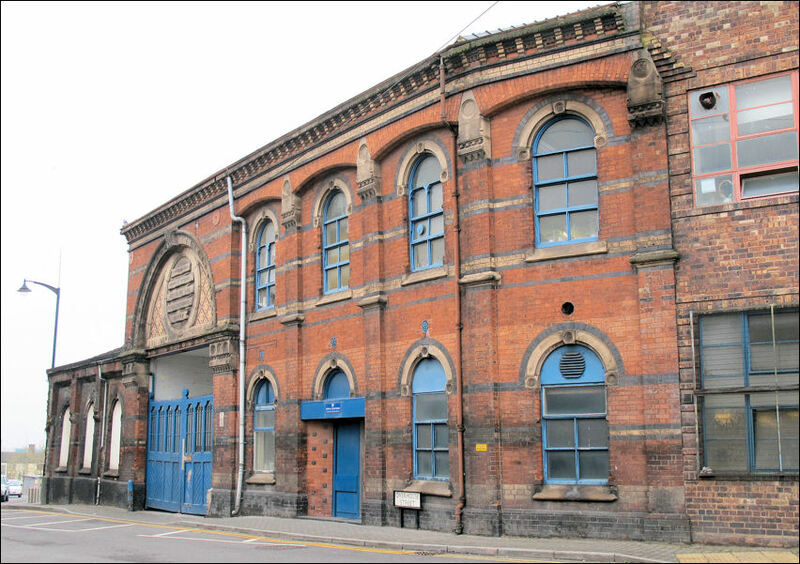 "In 1787, the record runs, ‘Thomas Wedgwood, Manufacturer of Cream-coloured Ware and China glazed Ware, painted with blue’ worked the Overhouse Pottery at Burslem. 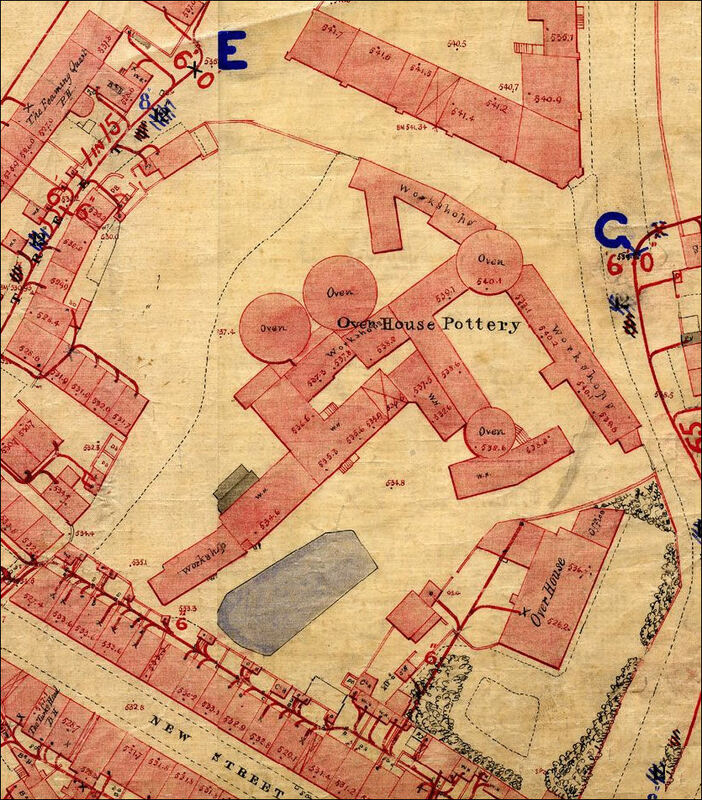 The old works were situated at the back and side of the Overhouse, with entrance in Wedgwood Place, where that street joined Scotia Road. 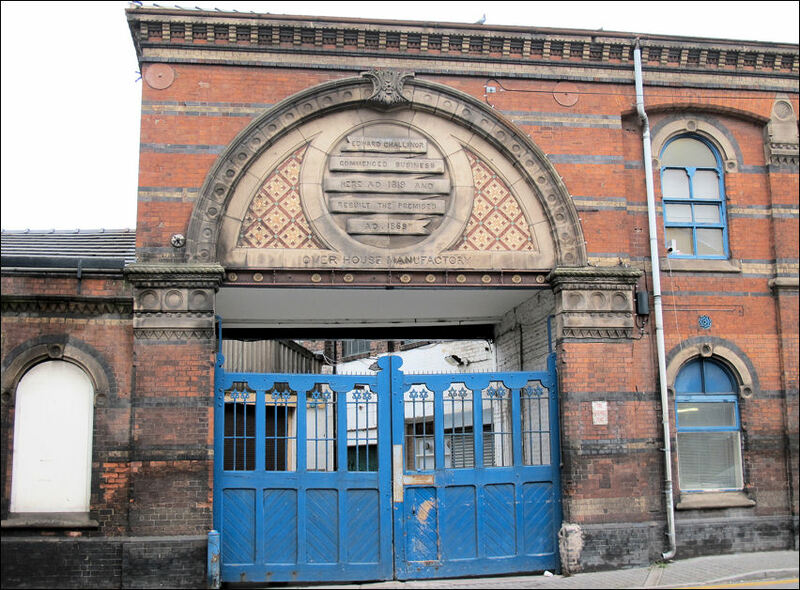 Early in the nineteenth century, the Overhouse Works were occupied by Goodfellow & Bathwell, who were succeeded in 1819 by Edward Challinor, and from about 1828 by William Pointon. In 1856, they passed to Morgan, Williams & Co., afterwards to Morgan, Wood & Co. who, in 1861, were succeeded by Allman, Broughton & Co., and later by Robinson, Kirkham & Co. 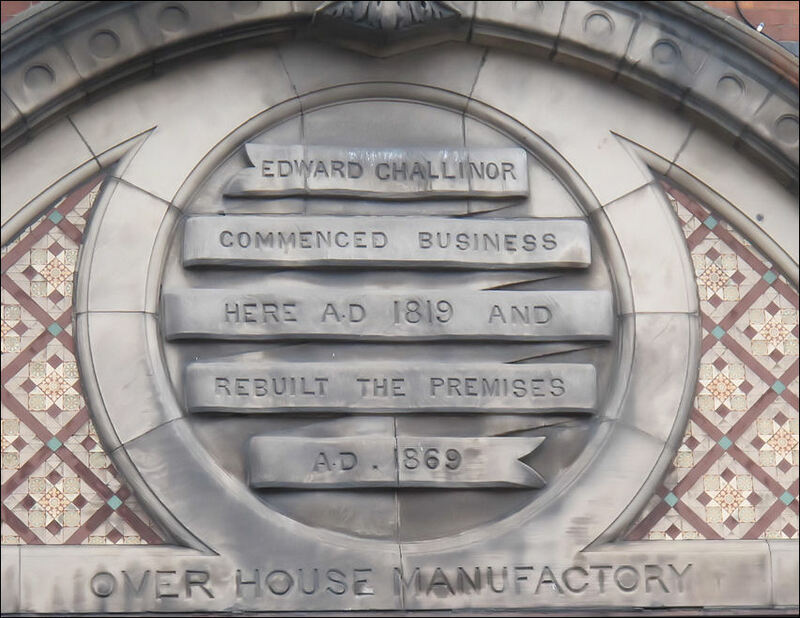 The new manufactory was opened in 1870 by Ralph Hammersley, who removed here from the Church Bank Pottery at Tunstall and who had previously been engaged for twenty years with Mr. Challinor. In 1833, the firm’s style was changed to Ralph Hammersley & Sons and as such remained until sold in 1905 to T. Gater. 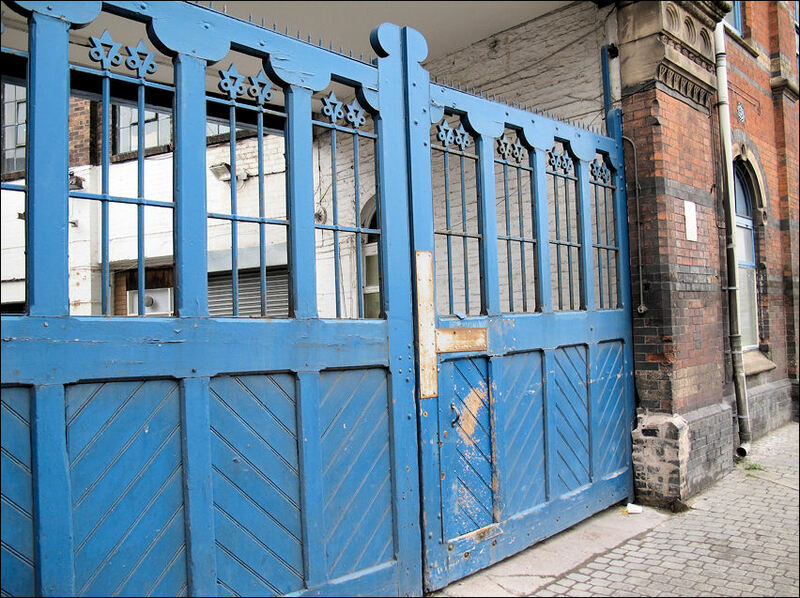 Twentieth-century owners include Gater, Hall & Co., King & Barratt, and Barratts of Staffordshire Ltd. The goods produced by Hammersley were the ordinary description earthenware in services of various kinds and the usual classes of useful articles which (besides a good home trade) were shipped in large quantities to the United States, Canada and Sweden. Stoneware jugs were also produced. The mark was the initials R.H. & S. in various forms until 1905." 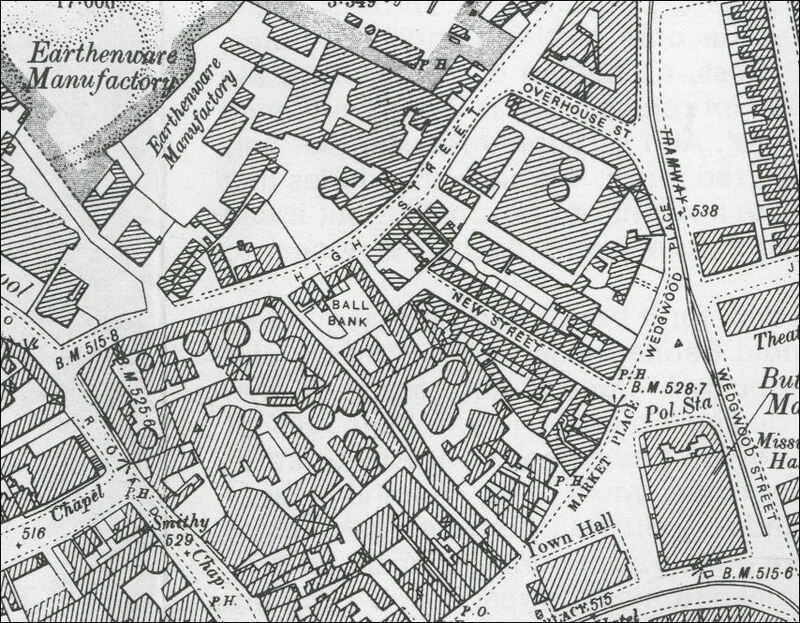 The old works were situated at the back and side of the Overhouse, with entrance in Wedgwood Place, where that street joined Scotia Road. 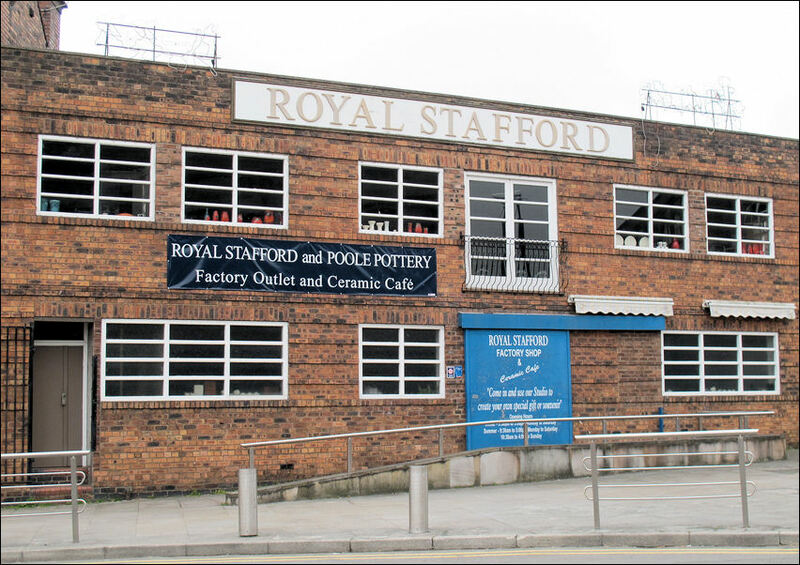 Royal Stafford was formed in March 1992 with the combination of two famous pottery factories, Royal Stafford China and Barratts of Staffordshire, both with a history in keeping with their well known names.